The gameplay is very similar to the Top Spin series (which is a good thing), “Controls in rallies are also very familiar, with you being able to hit flat, top-spin, slice and lobs, with power being increased by holding and releasing or just tapping to hit a more controlled shot. You can also rush to the net or hit an inside out shot exactly like you could in Top Spin. ” A new entry to a tennis game will be the challenge system (where players challenge calls they believe were wrong). 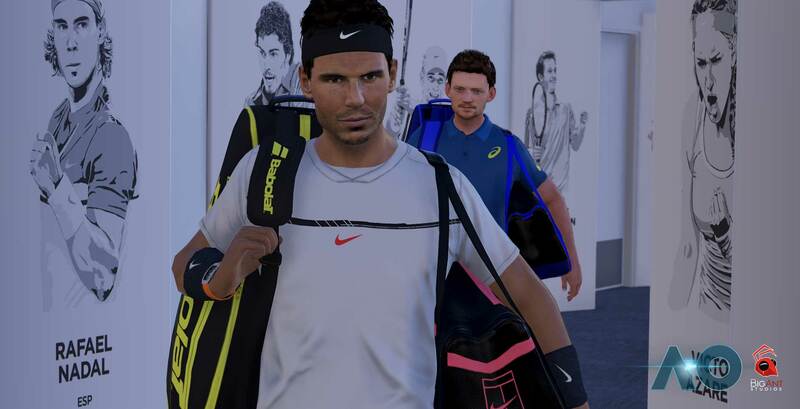 It’s of course no surprise that the game is graphically better than any previous tennis game. Big Ant made good use of their new “photogrammetry tech,” animations seemed to be “realistic and smooth.” Despite it’s title the game is not entirely focused on the Australian Open, and it will feature “a career mode and clay and grass surfaces,” as well as A.I based on “ten years of ball tracking data taken from Australian Open.” Finally, there will be player creation, in addition to customization of “clothing, stadiums and logos,” and of course online play. I looks like will be a good year for tennis gamers. Previous Post Nintendo Switch Becomes Fastest-Selling Console of All Time in U.S.